The ship is nearly done, and this is probably the last update I'll post, as it mostly just needs a shot of spray sealer to finish it off. 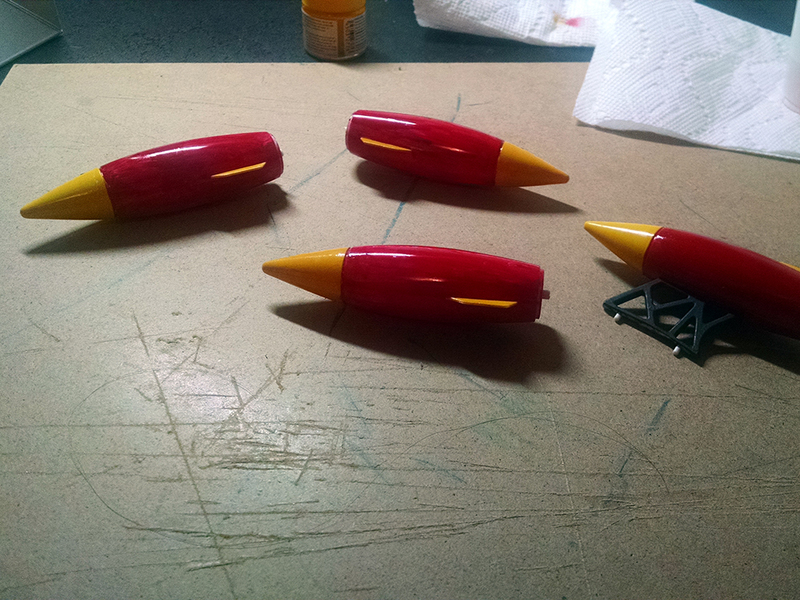 So like I said, I decided to strip all of the paint off of the booster rockets and start over. Here you can see that this turned out to be a good idea. It took several coats (four, I think), but the result was worth it. And here they are fully assembled. 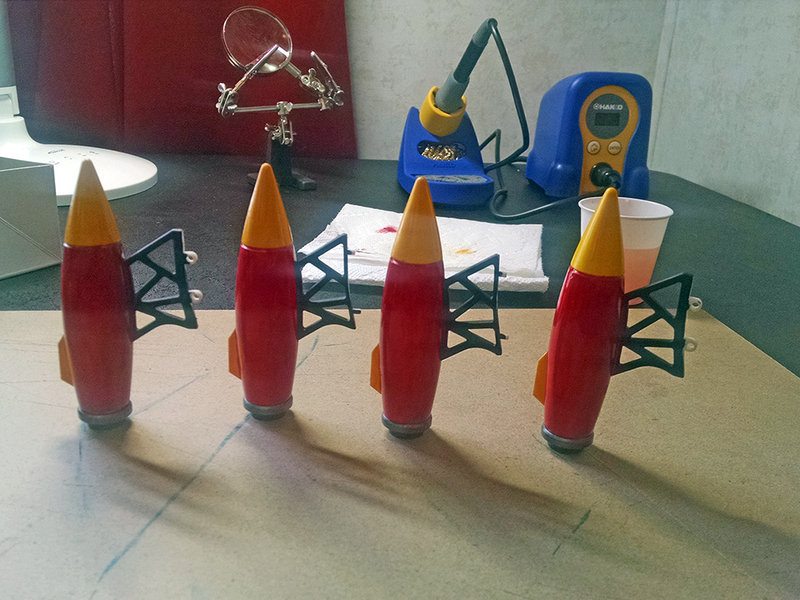 Next, it was time to start painting the main rocket body. 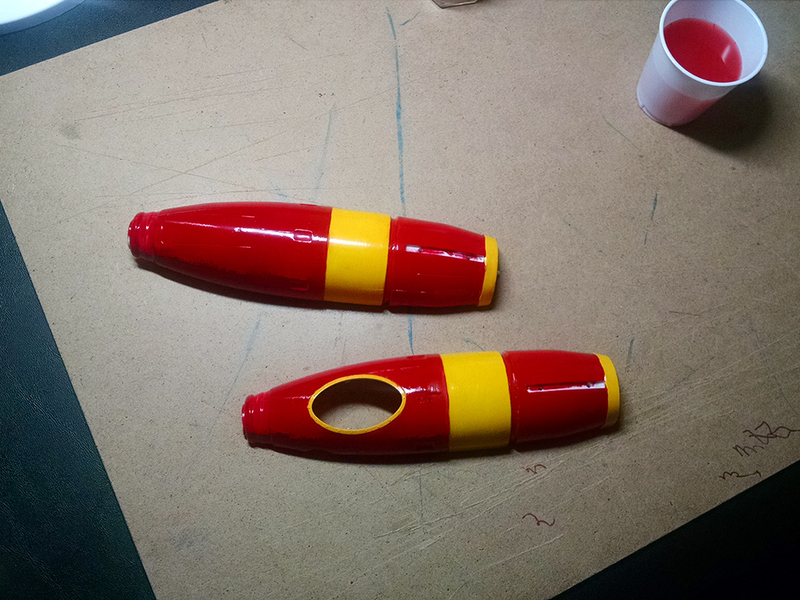 I was tired of doing red paint, because it's just kind of a pain to work with for some reason. I never did get coverage as even as I wanted, etc. Anyway, I switched gears and did some yellow for a bit. There's some over-painting, but I wasn't too worried about it, since the red is darker and would cover it. Like so! 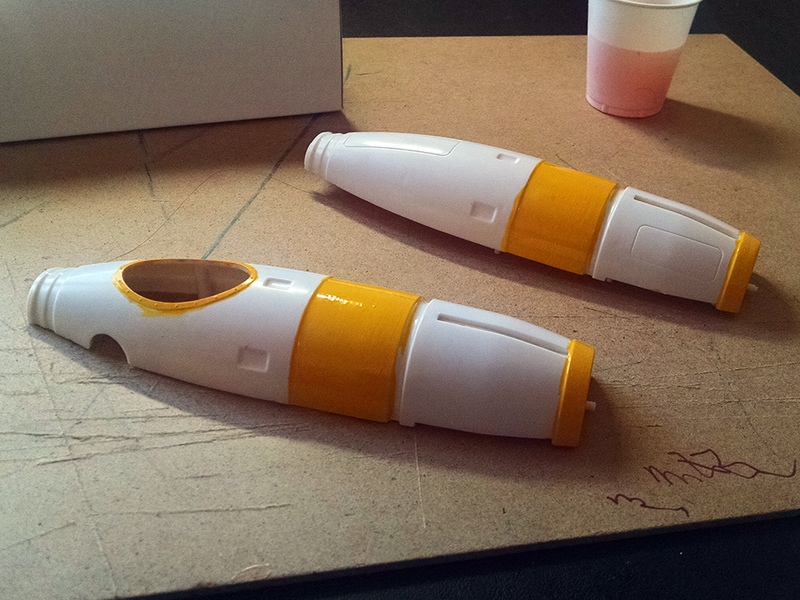 Here are the two halves of the rocket body nearly finished. I still need to do the rings near the nose. I forgot to get a picture of that, though. 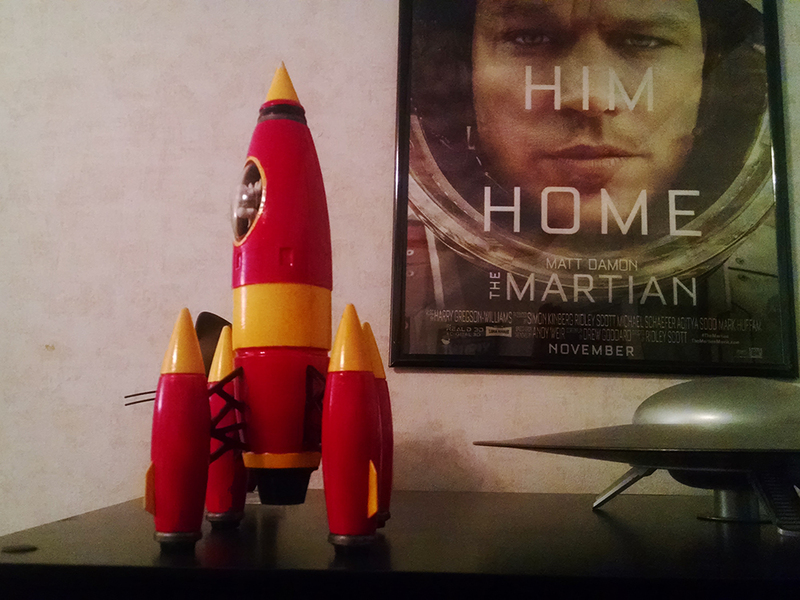 Here it is on the sci-fi shelf, not its final resting place on said shelf, but I stuck it up there so I could get a photo of it in something other than the harsh, flourescent light of my work lamp. As I said, I need to hit it with a coat of spray sealer, which will eliminate the occasional stray fingerprint and really give it a nice finish. I'm happy with it, not 100% satisfied, but happy with it. It definitely came out looking very retro, cartoon, Flash Gordon, which is exactly the look I was going for.